[SatNews] AMC specified a vehicle to be used in three distinct roles: as an edit van in all disciplines; as an SNG and as a mini OB van, with the ability to mix and play out live to air on a four-camera shoot. 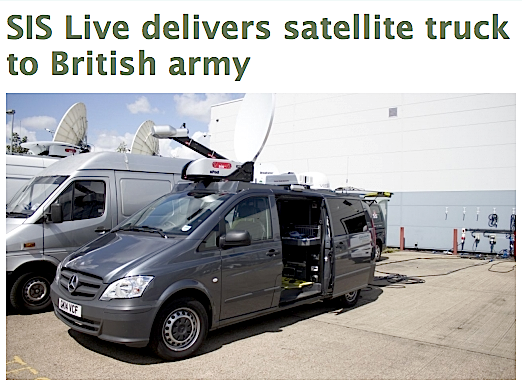 SIS LIVE has successfully delivered a bespoke satellite uplink truck to the British Army, to enable its media teams to deliver live HD pictures and other multimedia content from operational theaters around the world. 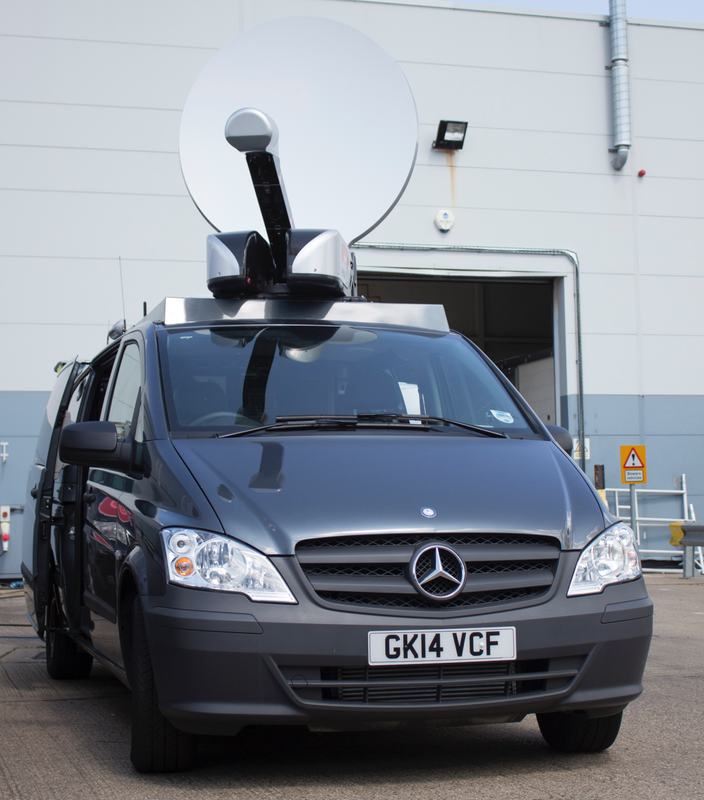 SIS LIVE operates the largest satellite uplink fleet in Europe and has used its systems integration and product design expertise to develop the truck for the Army’s Media and Communications branch (AMC), which delivers footage from frontline operations to broadcasters and other media outlets. The Army commissioned SIS LIVE to produce a satellite uplink newsgathering (SNG) truck which could be flown to any part of the world and relied upon by its media teams to transmit footage via satellite, to broadcasters in the UK and beyond; providing a vital link between military operations on the ground, and understanding from the general public back home. AMC specified a vehicle to be used in three distinct roles: as an edit van in all disciplines; as an SNG and as a mini OB van, with the ability to mix and play out live to air on a four-camera shoot. SIS LIVE’s product development team worked closely with the Army to select the right equipment for the task. This included equipment from its extensive in-house range of proven satellite hardware, developed to satisfy its own satellite service contracts and the demands of its growing customer base among the world’s leading broadcasters. The team modified a long wheel base Mercedes Vito truck which was large enough to meet the requirements for equipment and operational space, yet was small and lightweight making it suitable for transport by military aircraft. SIS worked closely with the RAF to ensure the vehicle complied with Defence Standards. SIS LIVE installed an easily-deployed, lightweight Ku-band 1.2m DriveForce antenna linked to SIS LIVE’s own Uplink Management System (UMS), which incorporates its automated satellite booking system, uBook, with potential 24/7 access. The vehicle is fully equipped for extensive editing and multi-function HD play-out facilities, with a SIS LIVE provided iDirect multi-satellite network providing communications and Internet connection. The truck is also equipped with wireless camera equipment providing the camera teams with ultimate flexibility. Kevin Capon MBE, Senior Cameraman, AMC, said: “We came to SIS because we wanted a one-stop shop that would design, build and deliver, and provide satellite air time all under one roof. “The team’s core activity is to support operations such as Afghanistan and Iraq, where it provides material that for security reasons, operational necessity or general sensitivity would not normally be available to the public media. David Meynell, SIS LIVE’s Managing Director said: “The British Army came to us because of our proven track record of building reliable, flexible satellite trucks using our award-winning hardware. SIS is in the television broadcasting industry, and a supplier of television programming and data services to the UK and Ireland betting industry. The company’s broadcast business, SIS LIVE, operates the largest satellite uplink fleet in Europe. SIS LIVE also designs and manufactures an innovative, market-leading range of satellite products. The company covers over 100,000 hours of live events worldwide each year and delivers approximately 80 percent of live news feeds across the UK.